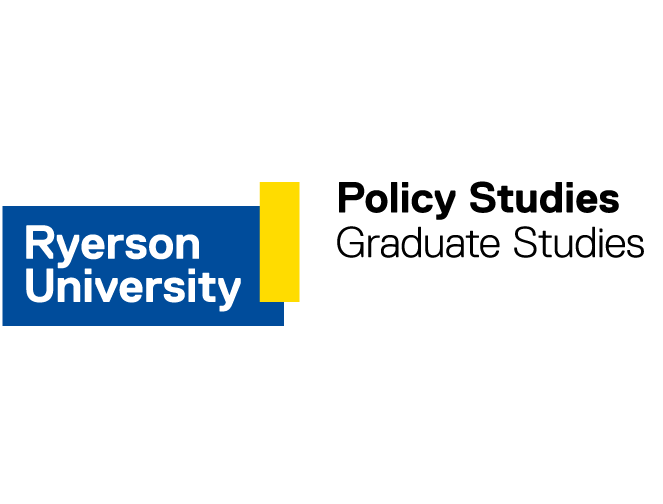 The PhD in Policy Studies at Ryerson University is an interdisciplinary doctoral program offered by 50 faculty members drawn from across the university. Started in Fall 2009, there are now 19 graduates of the program. One of the strengths of the program is that it balances the traditional policy studies approach with more recent insights offered by critical policy studies. As such, the program offers an alternative to the many policy studies programs that are exclusively focused on economics or promote big data as the primary tools for addressing collective problems. Students may undertake a general study of Public Policy and Administration as well as specialize in Immigration Settlement and Diaspora Policies and in Social Policy. Beyond the formal specializations, there is significant faculty strength in areas such as Urban Policy, Indigenous Policy, Food Security, Environmental Policy, Health Policy, Labour Market Policy, Democracy, and Global Policy. The uniqueness and rationale of the program stem from the mission of Ryerson University – to advance applied knowledge and research to address a societal need. Ryerson’s recognized strength in combining theory and practice, growing reputation in policy-relevant research and location in Canada’s largest and most culturally diverse cosmopolitan center provides students with the extraordinary opportunity to engage with government and community agencies in conducting domestic and international policy research.